San Francisco, Calif. - January 12, 2015 - MIBA Medical Inc., a medical aesthetics company, traveled to the Minna Gallery in San Francisco to attend the "Make the Connection Reception" put together by Johson & Johnson during the JP Morgan Healthcare Conference. The reception is an annual event, mainly focusing on the healthcare sector. It acts as a platform for people from different areas to get together to discuss how to nurture innovation, to share the best practice on start ups and most importantly, to seek partnership. Dr. Phi Nguyen, CEO and Founder stated that “We are so happy to be able to meet so many people with the same focus and interest. We also made many connections that can help advance MIBA in the future." MIBA Medical Inc. is a medical aesthetics company focused on developing and commercializing products that are used by physicians to enhance a patient's appearance. For more information, please visit http://www.mibamedical.com. Houston, Texas – December 16, 2014 - MIBA Medical Inc., a medical aesthetics company, today announced their team traveled to the Texas Medical Center in Houston to attend the "Meet the Johnson & Johnson Innovation Team" event. This event signal the partnership of J&J and the Texas Medical Center and launches JLabs Incubator Center in Houston. JLABS, part of Johnson & Johnson Innovation, LLC, is a network of life science incubators providing emerging companies many of the advantages of being in a big company, without the capital investment. Called the J-Labs @ TMC, the incubator is a 30,000-square-foot space with the ability to house 50 companies. It features wet labs and office space for pharmaceutical and medical device companies, as well as companies within other health care sectors. Dr. Phi Nguyen, CEO and Founder stated that “We are so happy to see J&J partner up with the Texas Medical Center here in Houston. This collaboration between them will foster tremendous growth and innovation here in Texas. We hope to be able to tap in to the resources from this collaboration for the future advancement of MIBA." San Jose, Calif. – December 6, 2014 - MIBA Medical Inc., a medical aesthetics company, celebrate the relocation of it's Silicon Valley Office today by hosting a holiday open house. Dr. Phi Nguyen, CEO and Founder stated that “We are so happy to welcome everyone to our new office space. We also would like to use this opportunity to update everyone on the significant progress of the company and to thank everyone at MIBA for their hard work and contribution in the past year at MIBA. We look forward to a bright 2015 for MIBA!" Livi Mai, Public Relations Director states "The month of December is an extremely joyous time of the year with twinkling lights and family traditions. It's also the most perfect time for gatherings with families, friends, and business associates for an opportunity to express our thanks. We would like to take this time to thank all of our friends, staff, and investors for making our first MIBA Holiday gathering a fun filled success. We thank those who drove hundreds of miles, and appreciate those flying great distances to join us on our First MIBA Annual Holiday gathering. It's gratifying, at the same time, rewarding to see everyone enjoying lite bites, mingling, laughing, engaging, and touring the new office. Thank you to our staff for your accomplishments, answering much needed questions and updating everyone on the progress of our company. Thank you friends for your ongoing support. And, lastly, a special thanks to our MIBA investors for making MIBA Medical a prosperous success." San Jose, Calif. – September 5, 2014 - MIBA Medical Inc., a medical aesthetics company, today announced their team traveled to FDA head quarter to have a sit down meeting for the pre-submission of their small volume soft tissue filler Restor. The face-to face meeting was to establish communication with the FDA and obtain clarifications and directives from the FDA for our pre-clinical and IDE submissions. "I am extremely pleased that MIBA Medical Inc. has met with the FDA and has their guidance for the regulatory process." 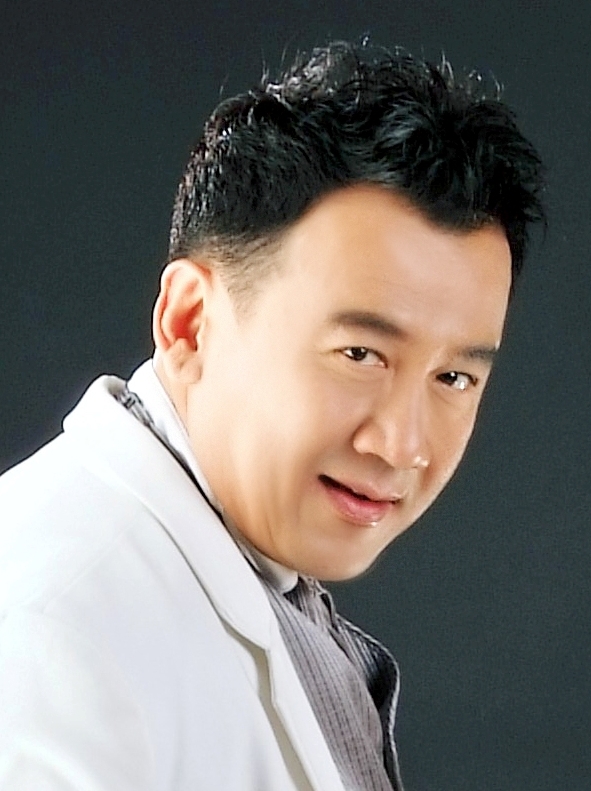 said Dr. Phi Nguyen, MIBA's Founder & CEO. ”This will allows us to tailor and streamline our regulatory process for our product Restor. It also gives us a clearer timeline and budget requirements and provides us with a good base for entering the regulatory approval phase from the FDA"
In June 2014, Loc Phan and Dr. Bill Fay visited Bloomage Freda Biopharm Co., LTD. (http://www.bloomagefreda.com/indexen.html) to explore various mutually beneficial working relationships. These relationships ranged from various forms of partnerships and supplier agreements to M&A. We toured Bloomage's facilities, and chatted with the workers. Bloomage is now a Qualified Vendor for MIBA. MIBA evaluated several of Bloomage's HA products, and has qualified one HA product as possible raw material for the production of RESTOR® and CURVATURE®. Mr. Slede was educated at top business schools worldwide: HEC, McGill and ESAD and he is fluent in French, Spanish and Portuguese.
. "I am extremely pleased to be able to tap into Bernard fundraising experience for MIBA," said Dr. Phi Nguyen, Founder and CEO. "He is a well seasoned senior executive with extensive venture funding experience and his expertise will serve MIBA well." San Jose, Calif. – October 23, 2012 - MIBA Medical Inc., a medical aesthetics company, today announced the licensing by the State of California Food and Drug Branch (FDB) to manufacture Class 1, Class 2 and Class 3 medical devices. The FDB, which partners with the Food and Drug Administration (FDA), has authorized MIBA to operate under the rigorous quality guidelines of California's Device Manufacturing Licensing laws. Prior to issuing the license, the FDB inspected the San Jose manufacturing facility on October 2, 2012. MIBA demonstrated compliance with all applicable state laws including the federal Good Manufacturing Practice (GMP), and the Quality System Regulations (QSR). Manufacturers must renew their license annually, and the FDB conducts periodic renewal inspections. "I am extremely pleased that MIBA Medical Inc. has received the FDB Medical Device Manufacturing License from the State of California." said Dr. Phi Nguyen, MIBA's Founder & CEO. ”"The quality standards achieved through this new licensing, coupled with our existing quality management system, provides us with a good base for entering the regulatory approval phase from the FDA"
San Jose, Calif. – September 1, 2012 - MIBA Medical Inc., a medical aesthetics company, celebrate its first anniversary of it's Silicon Valley Office today by successfully completing it's 3rd batch of its proprietary small volume soft tissue filler Restor. Dr. Phi Nguyen, CEO and Founder stated that “We are so happy to celebrate our first successful year as a start-up. We hope to continue to grow as a company and have our first product ready for regulatory approval in the coming years. We are also very thankful for the great staff working tirelessly at MIBA". San Jose, Calif. – August 10, 2012 - MIBA Medical Inc., a medical aesthetics company, today announced that it had selected Comparative Bioscience for its pre-clinical testing and research work. Comparative Bioscience Inc, (CBI) is lead by Founder and CEO Carol Meschter, DVM, PhD, DACVP. CBI "mission is to provide the best quality preclinical laboratory services to our clients in the biopharmaceutical and medical device industries on the West Coast and beyond. This mission will be achieved through our commitment to customer service, scientific quality, and employee satisfaction. Accomplishment of our mission will result in the long-term growth of CBI, the creation of value for all stakeholders in our company, success for our clients, and better health for humans and animals worldwide." BaoTran, VP Legal Affairs noted that we are very happy that CBI will put their wealth of experience to work for MIBA ". San Jose, Calif. – August 1, 2012 - MIBA Medical Inc., a medical aesthetics company, today announced that Michelle Paganini has joined MIBA as Director of Quality System. With over 25 years of corporate experience in the Medical Device field, Michelle Paganini has made her mark in all aspects of training and auditing programs, and quality systems evaluation and improvement. Experienced in both FDA Regulations and ISO Standards, Ms. Paganini has hosted numerous agency audits, including ISO certifications. She is experienced in improving and developing quality systems for both large, established corporations and start-up companies, including domestic and international operations. She has also worked with Pharmaceutical companies to develop cGMP training. Dr. Thom Wehman, COO and VP Regulatory Affairs noted that “Ms Paganini knows medical device systems from a broad based perspective, developing her career first in manufacturing, then in a production lab, and ultimately in production control as a planner and master scheduler before focusing on quality assurance. We are very happy that Michelle will put her wealth of experience to work for MIBA ". “This CER clean room is a significant milestone for MIBA Medical as it enables us to design and fabricate medical grade products safely. The medical device CER and clean zones cleanroom protects our products from contamination and provides the temperature and humidity controls to assure the environment needed to build our product for good quality and reliability and consistently,” said Dr. Phi Nguyen, CEO. San Jose, Calif. – July 1, 2012 - MIBA Medical Inc., a medical aesthetics company, today announced that Mona Wilson has joined MIBA as Director of Document Control. Mona served as a documentation and training specialist for a number of Medical Device start-up companies for almost twenty years. Her expertise includes document control, HR, purchasing, customer service, materials control, audit, training, clinical studies support and office management. "I am extremely that Mona has joined our company," said Dr. Phi Nguyen, Founder and CEO. "Her extensive experience in high quality documentation will serve MIBA well in its regulatory efforts." San Jose, Calif. – June 6, 2012 - MIBA Medical Inc., a medical aesthetics company, today announced that Joe Breeland has joined MIBA as a sales and marketing consultant. Joe was Vice President of Sales for Insound Medical where he built and managed a new sales team for a highly disruptive hearing aid technology during the worst economy in decades. He achieved sales growth from $0 in January 2008 to a run rate of $16M in Q4 2010, achieved over 100% to plan in '08, '09, and '10 (Trial) despite significant technology, economic, and operational challenges, and played a key role in selling the company to Sonova for $194M. Prior to that, he was VP of Sales and Marketing for OrthoClear, Inc. and before that he was VP of Sales for Align Technology, Inc. , where he built the advertising sales organization from scratch and scaled revenues 10X - making a significant contribution to the company's wildly successful IPO. "I am extremely pleased to be able to tap into Joe's sales experience for MIBA," said Dr. Phi Nguyen, Founder and CEO. "He is a well traveled senior executive with extensive leadership experience building and directing high performance teams for the world's largest and most diverse organizations and his expertise will serve MIBA well." San Jose, Calif. – May 22, 2012 - MIBA Medical Inc., a medical aesthetics company, today announced that Ray Stewart has joined MIBA as a science advisor. Ray has over 30 years of experience in creating and growing new business ventures and commercializing products based on innovative materials. He is a recognized leader in advanced polymer chemistry, with over 25 US patents to his name. Over the course of his career, he has developed innovative products with annualized revenue in the range of hundreds of millions of dollars. Ray is the founder of Landec Corporation, (NASDAQ: LNDC), a public company that successfully developed and commercialized a new class of temperature-responsive polymers called Intellimers®™. Ray led business development at Landec, and all financing activities in addition to the development of new materials and products for diverse markets including food packaging, agriculture, industrial adhesives, and medical devices. In addition to Cantimer, Inc., Ray also co-founded Bay Materials, LLC, an advanced materials development and manufacturing company focused on serving the needs of companies in the medical device, consumer health and electronics industries. "I am extremely pleased that Ray is advising us on how to bring our technology to the next level," said Loc Phan, Director of Materials and R&D. "Ray brings to MIBA invaluable expertise in chemistry. It is great to have access to Ray's brilliant scientific mind." San Jose, Calif. – May 14, 2012 - MIBA Medical Inc., a medical aesthetics company, today announced that James R. Elliott has joined MIBA as a consultant. Jim is a Senior Executive level Medical/Health Care Professional with expertise in Medical Device, Diagnostics and Drug Discovery sectors. With over 20 years of career experience in result- oriented technical invention, innovation, Intellectual Property building and commercialization activities, Jim is highly valued for his hands-on global enterprise experience with all aspects of Research, Clinical, Regulatory, Product Realization, Manufacturing, Marketing, Sales and Distribution issues. "I am extremely pleased that Jim is now devoting his energy to expanding business opportunities for MIBA," said Dr. Phi Nguyen, Founder and CEO. "Jim brings to MIBA invaluable expertise in corporate development to grow MIBA to the next level. We are glad to have Jim on-board." San Jose, Calif. - May 1, 2012 - MIBA Medical Inc., a medical aesthetics company, today announced that it has been selected to present at International Medical Device Forum 2012.
International Medical Device Forum 2012 (IMDF2012) is the premier medical technology partnering event in China. It will be held on May 9-10, 2012, in Shanghai. The forum is an annual event, mainly focusing on the medical technology sector. It acts as a platform for people from different areas to get together to discuss how to nurture innovation, to share the best practice on start ups and most importantly, to seek partnership at the international level. 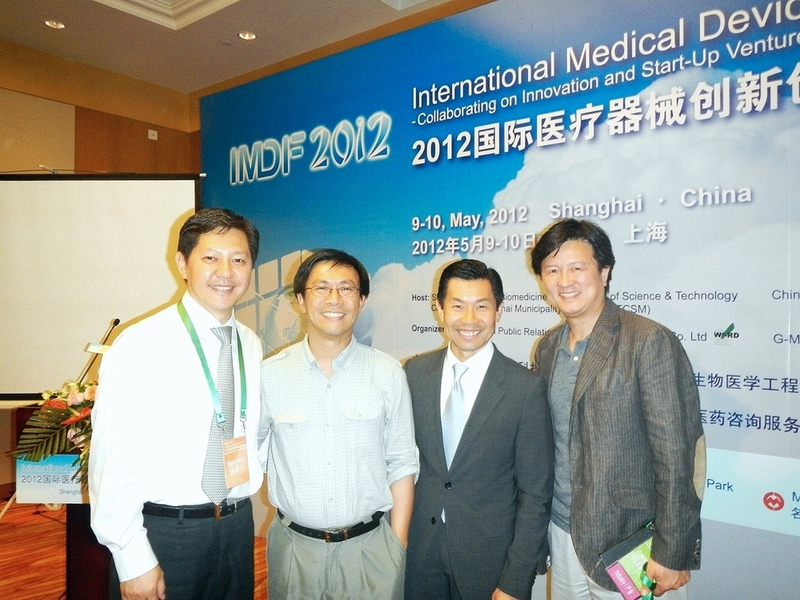 "I am extremely pleased to be selected to present MIBA at the IMDF 2012," said Phi Nguyen, Founder and CEO. "MIBA will gain much from the conference in identifying Worldwide Partners for its first product, Restor®." San Jose, Calif. – April 30, 2012 - MIBA Medical Inc., a medical aesthetics company, today announced that Loc Phan has joined MIBA full time as Director of Research & Development. Loc has been researching, developing, and commercializing materials for biomedical applications for over 20 years. Over that time, Loc successfully developed materials for applications that ranged from protein deposit resistance, high oxygen permeability contact lenses to the paclitaxel drug eluting stents for the coronary application and the bronchiole application that were the first-in-man to the materials used in the first Invisalign® orthodontic appliances. Loc holds over 50 issued US and OUS patents and patent applications and scientific publications. He received his training in Material Science, Biochemistry and in Molecular Biology at San Jose State University. "I am extremely pleased that Loc is now devoting his full energy to developing great products for MIBA," said Dr. Phi Nguyen, Founder and CEO. "Loc's experience with material development will enhance MIBA's technology greatly." San Jose, Calif. - April 25, 2012 - MIBA Medical Inc., a cosmetic medical company, today announced that it has retained law firm Wilson Sonsini Goodrich & Rosati as its outside Corporate Counsel. Headquartered in Silicon Valley with seven offices in technology hubs across the U.S. and two in China, Wilson Sonsini Goodrich & Rosati is one of the nation's premier provider of legal services to technology, life sciences, and growth enterprises. The firm is nationally recognized as a leader in the fields of corporate governance and finance, mergers and acquisitions, securities class action litigation, employment law, intellectual property, and antitrust, among many other areas of law. "I am extremely pleased to have Wilson Sonsini Goodrich & Rosati on board," said Phi Nguyen, CEO and President. "As we have grown as a company, we have made it a point to hire the best outside services and retaining Wilson Sonsini Goodrich & Rosati shows that. I am confident that they will provide us with excellent counsel as we execute our corporate business objectives." San Jose, Calif. - April 16, 2012 - MIBA Medical Inc., a medical aesthetics company, today announced that the trademark RESTOR for its dermal products has been allowed and published by the United States Patent and Trademark Office. The company expects RESTOR to become a registered mark in the US in due course. "I am extremely pleased that Restor has been allowed by the US Patent and Trademark Office," said Dr. Thomas Wehman, MIBA's COO. "The firm of Tran & Associates has done a great job in maximizing MIBA's patent and trademark portfolio in a highly strategic and cost effective manner. MIBA has also filed corresponding international trademarks and other IP through Tran & Associates." Tran & Associates specializes in strategically building for our clients cost-effective patent and trademark portfolio. Having grounding in both arts and science, Tran & Associates applies intellectual property law in helping its clients maximize their business objectives. For more information, please visit http://www.tranassoc.com. MIBA DEPLOYS PATENT WORKFLOW SOLUTIONS FROM POWERPATENT INC.
San Jose, Calif. – April 11, 2012 - MIBA Medical Inc., a cosmetic medical company, today announced that it is using patent workflow solutions from PowerPatent Inc.. Headquartered in Silicon Valley, PowerPatent Inc. provides a cost-efficient framework for inventors to participate in the IP system and be recognized and rewarded for their ingenuity. "I am extremely pleased with PowerPatent's ProvisionalBuilder tool. This tool enables MIBA to implement and execute a broad patent portfolio roadmap covering our technology," said Dr. Thomas Wehman, MIBA's COO. " PowerPatent's ProvisionalBuilder™ accelerates the patent application process, yields higher patent throughput, and delivers significant cost savings for applicants, ensuring they establish IP ownership as "first inventor to file." San Jose, Calif. – April 1, 2012 - MIBA Medical Inc., a medical aesthetics company, today announced that Dr. Thomas Wehman has joined MIBA full time as Interim COO and Regulatory Affairs. Dr. Wehman has held a variety of senior management positions in the medical/biotech, pharmaceutical and plastics industries. He has over 30 years of managerial experience in research, development, pre-clinicals, operations, and product roll-out. He is an expert in both national and international regulatory affairs and has published a book in that field. He has held the following medical device company positions: NeoMend (Co-Founder, President/COO) CardioSynopsis (COO), TeleCom Medical (Founder, President, COO) and Novasys Medical (Co- founder, VP). He also held various Operational positions for five medical device start-up companies that had successful IPO's: Curon Medical; Oratec; Rita Medical; Somnus Medical Technology; and VidaMed. The last four companies were acquired after their IPO's for $310M, $220M, $56M and $326M respectively. Dr. Wehman received his PhD with honors from Michigan State University in the field of electro-analytical chemistry and physiological characterization of pharmaceutical materials. He was elected a member of Sigma Xi, Doctoral Science Honorary Society. He completed his undergraduate work in chemistry, physics and mathematics at Northern Illinois University with honors. He also served as a visiting scholar at Argonne National Laboratories in the High Energy Physics Department studying radiation effects on tumor development. He is well published and is the co-inventor of over 30 patents and pending patents. He has taken continuing education in marketing, sales, business development to round out his educational background. "I am extremely pleased that MIBA has access to Dr. Wehman's expertise with the FDA and CE regulatory processes and is now devoting his full energy to moving MIBA to the next level in operations," said Dr. Phi Nguyen, Founder and CEO. "Dr. Wehman's operation skills and regulatory affair knowledge will complement MIBA's technology greatly." San Jose, Calif. – March 15, 2012 - MIBA Medical Inc., a medical aesthetics company, today announced that John Kang has joined MIBA full time as VP of Sales, Asia Pacific. Mr. Kang has over 25 years of high tech business development and sales experience as an executive, founder, fund-raiser, and evangelist. He was instrumental in the birth of Samsung's medical device research center and introduced a number of new medical device products in Korea. After Samsung, he co-founded 4 companies, one of which went to IPO in Korea. He commands broad understanding of multiple high-tech industries and brings multicultural competency to MIBA. He received MS from Yonsei University and MBA from University of Delaware. "I am extremely pleased that John is now devoting his full time to developing Asian markets for MIBA," said Dr. Phi Nguyen, Founder and CEO. "John's sales and marketing experience in Asia and in the US will enable MIBA to achieve rapid adoption in the marketplace. We are glad to have him on board." San Jose, Calif. - October 2, 2011 - MIBA Medical Inc., a cosmetic medical company, today announced that it has retained law firm Tran & Associates as its outside Intellectual Property Counsel. Headquartered in Silicon Valley, Tran & Associates is one of the nation's premier provider of IP legal services to technology, life sciences, and growth enterprises. The firm is nationally recognized as a leader in intellectual property of law. "I am extremely pleased with our broad patent portfolio roadmap that was carefully crafted with the help of Tran & Associates," said Dr. Thomas Wehman, MIBA's COO. "The firm of Tran & Associates will help us greatly with maximizing MIBA's patent and trademark portfolio in a highly strategic and cost effective manner. We and our investors are very pleased with the valuable IP portfolio work done by the firm of Tran & Associates." 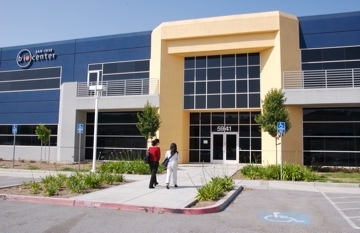 San Jose, Calif. - September 27, 2011 - MIBA Medical Inc., a medical aesthetics company, today announced that it has joined the San Jose BioCenter. The BioCenter is a state-of-the-art life sciences incubator, recognized in 2009 by the National Business Incubation Association as the best incubator in the world. The center provides "wet" laboratories, research equipment, and commercialization support to life sciences and other emerging-tech companies. The BioCenter is a new, time and cost efficient model to commercialize innovation for emerging science and technology companies. Since inception, the life science and clean technology companies of the BioCenter have raised more than $2B in capital and have created more than 800 direct jobs. Through many years of experience in developing successful companies, the BioCenter team has developed a systematic selection process based on great technology, qualified markets, solid IP and great teams. "I am extremely pleased to be selected to be a part of the BioCenter," said Phi Nguyen, Founder and CEO. "As a start-up, we need access to an extensive range of products, services and equipment and the BioCenter will enable us to grow and scale MIBA as a successful business."